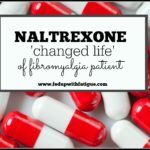 The following article on new fibromyalgia drugs was first published on NationalPainReport.com and is being reprinted here with permission from the editor. During the year following my fibromyalgia diagnosis, my rheumatologist prescribed five different drugs in an attempt to relieve my pain. The current fibromyalgia drugs on the market are notoriously ineffective. 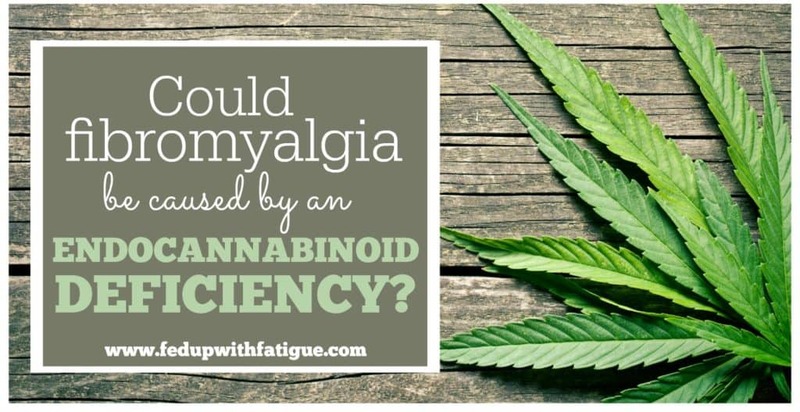 I remember my rheumatologist sharing a surprising statistic that I’ve since verified through my own research: The most effective fibromyalgia drugs only provide at least a 50 percent reduction in pain in about one-third of patients. We desperately need better treatments, and drug companies are anxious to deliver them. Two new fibromyalgia drugs are currently in clinical trials, and a third one will be tested next year. Two of these prospective treatments are cousins to drugs already on the market, and one takes a completely unique approach to fibromyalgia. I’ll start with that one first. The U.S. Food and Drug Administration (FDA) has fast tracked IMC-1, a combination of famciclovir (Famvir), a common antiviral, with celecoxib (Celebrex), an anti-inflammatory arthritis drug, for a Phase III trial next year. Dr. William “Skip” Pridgen, the combo’s discoverer, believes the HSV1 virus, commonly associated with cold sores, may be a culprit in fibromyalgia. He developed this theory while treating the gastrointestinal issues of fibromyalgia patients in his growing surgical practice in Tuscaloosa, Alabama. Pridgen noticed patients’ symptoms seemed to wax and wane over time and speculated these flares may be caused by the activation of an undetected virus. He tested his theory by prescribing common antiviral medications and noticed some slight improvement among patients. 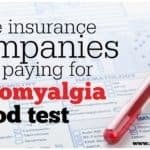 Around the same time, he began giving fibromyalgia patients samples of Celebrex, hoping the anti-inflammatory would reduce their overall pain. The patients who took both the antiviral and the Celebrex began reporting substantial improvements in their fibromyalgia symptoms. In 2014, Pridgen and his research team conducted a phase II study involving 143 fibromyalgia patients at 12 U.S. clinics. Patients either received IMC-1 or a placebo. After 16 weeks, 37.9 percent of patients reported a 50 percent or greater reduction in pain. That’s slightly better than Cymbalta, the most effective of the three FDA-approved fibromyalgia drugs. Side effects were low, with more patients from the placebo group dropping out of the trial due to adverse reactions than those taking IMC-1. “We had pain reduction levels that rivaled or were comparable to other fibromyalgia drugs,” Pridgen said. “It wasn’t just that we reduced their pain. In all the measures we looked at [including fatigue, anxiety, headaches, TMJ, etc. ], we seem to have an impact overall. Pridgen expects even better results from next year’s phase III trial because it will use the dosage he’s been perfecting in his practice for the past six years. Phase II used a lower, less effective dose, he said. Phase III may enroll up to 1,200 patients at around 60 sites, some of which could be international. Several major pharmaceutical companies have already expressed interest in IMC-1, and a new drug could be on the market within three years. Millions of patients were thrilled when Lyrica became the first FDA-approved drug for fibromyalgia in 2007. But for many, Lyrica’s real-life performance didn’t live up to drugmaker Pfizer’s picture-perfect TV commercials. Based on Pfizer’s research, only around 1 in 5 fibromyalgia patients experience at least a 50 percent or greater reduction in pain. And worst still, Lyrica is well known among those in the fibromyalgia community for its troubling side effects. I know a few people whose lives have been changed by Lyrica, and I’m grateful for any treatment that helps – even if it only helps a small percentage of us. But at the end of the day, for most of us with fibromyalgia, Lyrica hasn’t lived up to the hype. Japanese drugmaker Daiichi Sankyo is now testing what could be Lyrica 2.0. In simple terms, Daiichi believes mirogabalin works better and with fewer side effects than Lyrica, and it’s investing millions in clinical trials to prove it. In fact, part of Daiichi’s research effort will involve pitting Lyrica and mirogabalin head-to-head against one another in trials. Daiichi’s global ALDAY research program includes three phase III studies, which will compare various doses of mirogabalin, Lyrica and placebo in fibromyalgia patients with the main goal of relieving pain. There also will be an open label safety study. These are huge studies involving some 4,000 fibromyalgia patients at around 800 clinical centers worldwide. Update 8/15/17: Mirogabalin failed to meet its trial goals for relieving fibromyalgia pain. Tonmya: Better sleep = less pain? Cyclobenzaprine (Flexeril) was the final drug my rheumatologist prescribed for me before we essentially gave up on pharmaceutical treatments for fibromyalgia. I still have an old bottle of it that I reach for at bedtime when I’ve had a particularly awful day. It doesn’t stop the pain; it just knocks me out so I don’t feel it. Unfortunately, cyclobenzaprine’s sedating effect works so well that I can barely function the day after taking it. I rarely use it because it makes me groggy through midafternoon. But I may revisit cyclobenzaprine when and if Tonix Pharmaceuticals Holding Corp. releases Tonmya (aka TNX-102 SL), a new sublingual formulation of cyclobenzaprine HCL 2.8 mg. Some researchers and specialists believe, at its heart, fibromyalgia is really a sleep disorder, and I’m sure there are more than a few patients who would agree. Restorative sleep can be hard to come by for those of us with fibromyalgia. The purpose of Tonmya is to improve the sleep of fibromyalgia sufferers. Tonix just recently finished enrollment for its phase III AFFIRM trial of Tonmya, which involves 500 fibromyalgia patients at 35 U.S. clinical sites. AFFIRM’s main goal is to relieve fibromyalgia pain by at least 30 percent. Trial results are expected by the end of September. If all goes well, Tonmya could be available for patients in 2018. Since Tonmya contains a lowered dose of cyclobenzaprine, daytime grogginess shouldn’t be an issue for most users. In a previous trial, more people experienced daytime sleepiness using placebo than Tonmya. In the earlier trial, temporary numbness in the mouth was the most common side effect. About 50 percent of patients reported oral numbness, which disappeared within 30-45 minutes of using Tonmya. “We don’t have an impression that it’s a side effect that would limit its use,” Lederman said. Tonmya also is being studied in those with post-traumatic stress disorder. Update 9/26/16: Tonix has suspended its Tonmya trial for fibromyalgia after the drug failed to meet the goal for reducing pain. Tonix will continue testing Tonmya as a potential treatment for PTSD. In 2014, Theravance, Inc. announced positive results from a phase II study of TD-9855, a norepinephrine and serotonin reuptake inhibitor, in patients with fibromyalgia. Not only did it relieve pain better than placebo, but it also improved fatigue – a quality that’s unique among the fibromyalgia drugs currently on the market. Unfortunately, TD-9855’s use as a potential fibro treatment has been put on hold. Now it’s your turn: Which of these new fibromyalgia drugs sounds the most promising? If they all make it to market, which – if any – would you be most interested in trying? Share in the comments section! I was just called to do a fibro clinical trial. I am really stoked because I’m not taking any meds due to the fact that they don’t work. Came on here to see if you had any info on any meds that are in clinical trials. I have been a fibro sufferer for 8 years now. I’m really hoping New meds on market soon will help. Hi Donna (and all), as I have mentioned to you in the past, when you initially posted the antiviral/Celebrex study info last year on the National Pain Report…I was having far too many FB, CFS flares at that time. I’m also a spinal chronic pain person so sometimes it all gets confusing for me. Well, I spoke with my PCP about that study info and he allowed me to try the 2 meds, in April 2016. I found that the daily Celebrex was raising my blood pressure so I only take it on really really bad pain days when my opioids are just not helping at all. I’ve continued to take the Acyclovir (antiviral) daily ever since though. I did so much better at first. Then when the Florida summer heat/humidity hit I was soooo sick with pain and fatigue and became mostly home/bed bound. Come winter, I got much better again. Until April of this year, I began to decline ‘again’ as the weather here began to change and in the past 2 months the fatigue has been off the charts and has kept me miserable in bed most everyday. The fatigue rules my every day. I live alone so it makes life even more difficult. I also have intermittent blurred vision and nausea. I’m losing my mind with it. It helps some but now I’m also using CBD oil and it takes the burning all away for awhile. Yay! I also began taking liquid B complex last week and it seems to help decrease the fatigue. Or is it the CBD?! Soooo confusing. I’m seeing my doc next week to ask for blood work to rule out anything else. As always though, I’m sure it will be negative. Last year we checked my EBV titers and the results were not very alarming. Soooo what it is that changes my body so drastically with the weather change?! Or simply just living in this state? I now understand that it swells our tissues and can cause changes in pain, but WHY DOES IT BRING ON SEVERE FATIGUE?! Or cause the virus to rear its ugly head?! Since I moved to Fla., from CT, 3 yrs ago I have had shingles 3x! and have ‘heightened pain’ all year and ‘each summer’ I’ve been put to bed with extreme fatigue! Obviously living here has inflamed my body greatly. Oh, what to do?! I’m learning so much more about my body and condition from your website! THANK YOU for all that you provide for us and your hard work. You are the best, Donna! ps FYI… I do have my IBS well under control for 10 yrs now with diet and probiotics…and while I am extremely sensitive to most meds, the Celebrex remarkably does not bother my stomach. Lyrica and Cymbalta made me crazy for sure! Do you have to have a prescription for the Mannitol ? I was diagnosed in 2012 and I take Tramadol during the day and Gabapentin at night. If I take Tramadol after 3pm I can’t go to sleep until wee hours which definitely make things worse. Neither work well, though if I take the Gabapentin every single night without skipping a dose, I seem to sleep better which does seem to offer some relief. However, I’m not seeing much mention of either of these in any of the comments above. I’m really ready for something that will “work”…. not something that will “help”. Does anyone notice that stress (like job related) really seems to make fibro worse? As anyone with Fibromyalgia will tell you, they have issues with IBS — which NSAIDS make worse. Although on paper, adding Celebrex seems like a good idea, it won’t work because it will tear up our stomachs and intestines which are already hyper-sensitive (especially to NSAIDS of any kind). Sorry, but the new medication with Celebrex included in it won’t be able to be used by those of us suffering from Fibromyalgia. We need some kind of NSAID that by passes the stomach and intestines. However, that risks having ulcerative skin at the point of NSAID insertion by needle, or in the mouth if NSIAD taken sublingually. this is interesting as i have IBS and having my tummy scoped next week and trying to figure out what is going on…they say because i am diabetic i might have a condition that diabetics have called gastroparesis..or something like that and cant even take an aspirin or advil or any antiimflammatories so i am hooped…tried 4 kinds of opioids and cant take those either….not even codeine.. This is an older press release from 2015. My post has the most up to date information. Tonmya failed to meet the pain-relieving goal in its latest trial, and the company is no longer seeking FDA approval as a fibromyalgia treatment. They are still doing trials using Tonmya for PTSD. Too soon to tell if it might be approved for PTSD yet. I really enjoyed this article and how each drug effects different people. It was mentioned that many feel fibromyalgia is related to a sleeping disorder. This might not be the case for everyone but I’m pretty sure it’s a huge problem for me. As far as I know, the powers that be are still against xyrem. 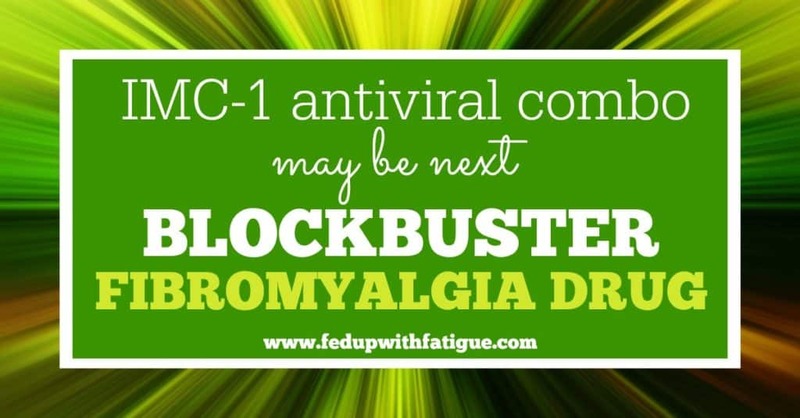 It was mentioned in a recent fibro treatment meta-analysis and strongly warned against. All I know is these two illnesses when not completely controlled and fighting against each other makes life hard to bear! Xyrem is definitely controversial. In the latest European fibro guidelines released this year, they strongly cautioned against Xyrem due to the high risk of abuse. I think what it comes down to is the powers that be are afraid to prescribe this in mass and have it hit the street like oxycontin and other pain killers. The voices against it are more political than actually looking at if it would be useful for the patient, which is unfortunate. Does anyone else have a stomach sensitivity to NSAIDs like Celebrex? I have Fibro along with three types of arthrtitis, and my doctor wants me to use Celebrex but it tears my insides up by even taking one pill. In place of NSAIDS, what do you recommend? And do you have any idea why my stomach would be so hyper-sensitive? I can’t even take iron in pill form, or Vitamin D in those rubberized capsules. Hi Dana, I can’t answer your question re: an alternative for NSAIDs but re: your gut problems … I’ve improved my gut health by adding in a really good probiotic and also digestive enzymes. I’ve also been using Curamed curcumin supplements as a natural pain reliever. I’ve been taking a probiotic and protein shake, as well as supplemental enzymes, every morning for three years, and still cannot digest things like curcumin even. I’ve seen specialists and they are unable to cure. My IBS is spelled in capital letters for a reason LOL. I’ve had fibro for 30 years now, and it has progressively worsened over time. Have you been checked out for food allergies? Dairy and gluten pop up like excruciating IBS and sometimes even food poisoning. I started Humira and my “IBS” turned out to actually be “IBD” because it remissed after about 2-3 months of treatment. I had colonoscopy/ biopsy rule out IBD and every autoimmune factor level taken. I can eat lettuce and oranges and anything I want except too much sugar free crap lol. I, too, can’t take Vitamin D (although gummies are better tolerated) or Iron – or fish oil supplements etc, etc. However, I can take ketoprofen 50 mg twice a day as long as I take it with food. It’s the best thing I’ve found for being able to function with fibromyalgia. Also take very low dose Ambien (I break a 5 mg in half) and Flexeril (5 mg) at night. I was able to work 60 hour weeks with these meds for many years – sometimes needed opioids, but rarely. Diagnosed in 1992. I’m glad to hear it helped you that much! That’s pretty impressive! 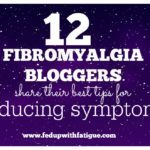 And promising for the fibro community! Not happy to hear about the withdrawals though. I was thinking that medication sounded the most promising to me, but then your update said it failed it’s phase III trials. Yes, you can subscribe for updates by entering your email address in the subscription form at the top of FedUpwithFatigue.com. Your journey and your medications sound exactly like mine. Or very similar I should say since no two are exactly the same. I suffer from both fibromyalgia and psoriatic arthritis. Which has also created a diagnosis of Severe major depressive disorder. I have been struggling with suicidal thoughts for some time now but also have a lot of personal things that are going on at the same time. I try to stay hopeful that there will be a new medication that will truely help us but after years of feeling like a guinea pig I am not even sure I would want to take it. Anyway just wanted to say I am here surviving best I can fighting for some kind of disability money to come through. Separated from my husband and living with my mom. Trying my best to adjust all the changes in my life. The Tonmya sounds most promising for me. I take Celebrex for osteoarthritis, zolpidem for sleep, Tylenol for pain and Tramadol if worse pain. I have a lot of tools in my tool box …which I am sure we all resort too as well. Heat, massage,a skin rub called Voltaren..this is soothing. I exercise daily even if it means I can only walk in my house. I do yoga, work at meditation, resort to accupuncture when I can’t go on. Get vitamin D daily, magnesium baths, a gelfoam mattress. I hope we really will see some more help for us all soon. Thank you for posting. Unfortunately, there is no cure for fibromyalgia. There are just ways to manage the symptoms. There are quite a few people out there who insist they have cured themselves from Fibromyalgia. Don’t know what they did that I haven’t done to rid themselves of this awful disease. It is a mystery to me. Sure would like to know what the “magic bullet” is. I don’t think there’s a magic bullet, but I do think a lot of us have underlying causes, like thyroid issues, Lyme, EBV, dietary allergies, mold exposure, etc. I think the people who can figure those out maybe have a better chance of getting better. I’m writing about these possible new meds. 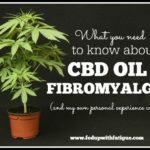 I was diagnosed with fibromyalgia four years ago. It came to be after I had lower back surgery and before a second back surgery in my neck. Both areas had nerve damage. I also have degenerative disc disease. I was put on Neurontin/Gabapentin at that time along with pain meds, anti depressants, and lorazapam. With the gabapentin , they started out with 300mg three times a day. That did OK, then the pain kept getting worse. They had to keep raising the dose on it till today I’m taking 800 mg four times a day. Before I had my second back surgery my husband of 38 years passed away. I couldn’t work then and cannot to this day. I lost my health insurance and I’m going to a clinic type place where they aren’t allowed to write prescriptions for any drug that is considered. My pain over the last six months or more has gotten unbearable. Not one of my grown sons understand this disease. I know they are so sick of hearing about my ailments. Even if a new drug comes out I won’t be able to get it because of the cost. I’m just a hopeless person with no way to get relief from this pain. This is a correction to the above comment I made. This place I go to isn’t allowed to write prescriptions for any drug that is considered a narcotic. I’m sorry for your loss and also for the lack of understanding from your family ! Unless you’ve experienced chronic pain yourself it’s impossible to fully understand . I’ve had fibro and chronic fatigue for twenty one years as a result of an accident . Im on morephine , Lyrica , Arthrotec , and Nortryptaline . This combo is working some what but sometimes I also take Valium . I developed Chosto Chondritis this past year which is basically fibro taking over the chest area causing excruciating pain ! So I understand your situation and I don’t know what I’d do without these medications . Healthcare needs to get better ! Health insurance needs to become more affordable ! It’s great that new drugs are being formulated but it’s no good if nobody can afford them ! I hope you find the care and understanding you deserve . Hey, since you don’t have insurance you can apply directly to the drug manufacturers for prescription assistance and with your situation I think you would have no problem getting approved. I know several people in similar situations and they are getting their Lyrica and several other meds at no cost. There are also several nonprofit agencies out there that help with paying for prescriptions, just google it and you can find them (sorry I can’t remember the names of the nonprofits right now thanks to fibro fog). Plus you could try to get on disability and then after a few months you will have great medical coverage. Hope I didn’t offend you or anything, just trying to help you find a way to get some relief. I totally understand the lack of support, my kids and husband don’t get it either, and I have Rheumatoid Arthritis (and a host of other issues I don’t even want to bother listing) along with Fibromyalgia so I know how you feel. Hope things get better for you and Happy Holidays to you! Gabapentin a narcotic?! Have the people who classify narcotics TAKE some Gabapentin. It is like Advil!! If fact, Advil works better than any of the crap they have out there. Get BUSY BIG PHARMA! Lots of cash to be made on something that actually works! Gabepentin is NOT a narcotic. It is an anti-seizure medication. Same as Lyrica. I wish I could say even one of these sounded good, but alas I’m stuck with treating symptoms. I’m allergic to gabapentin which leaves Lyrica cousins out, been on flexerall off and on with no significant help & NSAIDS are out do to gastritis and gastric bypass. 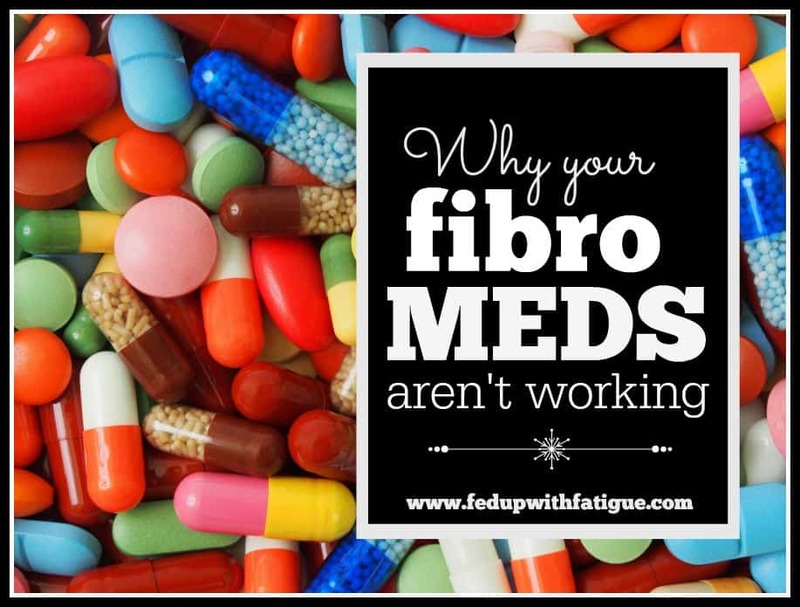 Since being diagnosed with fibro, I’ve been on all sorts of meds even off label for some. I had Gastric Bypass to prove my pain wasn’t weight related! Losing the weight helped getting around and a bit of the fatigue. But still have high pain days. A few years ago I gave up & quit several meds since my doctors weren’t talking to each other & I was over medicated. Been seeing a pain specialist & every visit I tell her I hate being on all this crap. She knows I’m not there to get drugs like many other people, I’m there hoping that one day she can find an alternative to the drugs. We’ve worked together & with the help of a therapist and botox injections, I manage day to day. It helps that I run a retail store with my husband and we work with arts and crafts. It’s beneficial to me to help others. I get to take my mind off the pain when I see the joy customers get coming to our little store. Making them happy, makes me happier. I still hold out hope that there will be a medical breakthrough and finally we all can be normal again. But what is normal anyways? Great info, shame it’s no good for me as I live in England where health service I crap, doctors never listen to you as you only get a five min appointment that’s never long enough. I just want to get back to normal, but know now that will never be the case, so I’ll settle for a reduction in pain, lengthiness of sleep, and a chance to walk somewhere (just the local shops will do), without feeling as though I’ve been through a meat grinder and spending the rest of the day in agony. I’d sign up for these trials in an instant. The IMC-1 trial (happening next year) and the mirogabalin trials (currently happening) will be/are international, so you may be able to find a site near you to participate. If approved, these drugs should be available in the UK at some point. In the 24 tears I’ve had fibromyalgia the only time I’ve noticed a sudden significant improvement is when I was on famivir for shingles so I’m very interested in that medication route. Also find sleep crucial to pain management. Without my nightly zolpidem I’d be a basket case. I take 3,000 MG of L LYSINE supplement (anti-viral over the counter) per recommendation of Naturopath and it keeps fatigue at bay. Since you mentioned Shingles, I hope everyone out there knows what I didn’t understand when I got the shot… that it is a LIVE virus being inserted into your skin. And since we have an auto-immune disorder, our bodies are not able to fight it as strongly as normal people’s bodies can. I had my shot at my end of year physical the last week of December, and still have skin issues cropping up the third week of February. You will get the Shingles if you have the virus. They say it will be a lesser case of it than if you didn’t have the shot. But it is something to be aware of. 1-MC1 sounds good, but I’m allergic to sulpha which is the active ingredient in Celebrex, so this isn’t an option for me. Lyrica, while it did help my pain, I slept for 24 hours solid after taking it for one week at the lowest dose, only waking up to go to the bathroom, of which I don’t remember doing. My then husband was unable to wake me in any way. It was kind of scary, so the mirogabalin, while it sounds good, I’d be wary. And the Tonmaya, well flexeril never did anything but put me to sleep, and I’d wake up in as much, if not more pain than I was when I went to bed. I have tried so many things, and it seems that only the anti-inflamatories, skelaxin and physical therapy help. I loved accupuncture and it did wonders, but finances are such that I can’t continue that. Top it off I’m allergic to all narcotics, so… I just keep on keeping on. While I take other meds, I have found that Celebrex is very good for pain relief for me. However, I have concerns about taking it as it is a risk factor for heart conditions. I would be interested in Tonmya as it is going to be available to help with PTSD, Fibro, and help with sleep, God bless anything with will give me help with pain, sleep, ptsd, and fibro! I say it can’t come soon enough! I have been on Lyrica 150 mg. 3x a day for quite some time and it has just gotten to were my body has built up a resistance and it is either ask for a higher dose and put up with side effects again or wiat out new drugs and see how they work. I say bring on the new ones!!! Thank you for your article. I have been on Lyrica 150 mg. 3x daily and feel it is at a point were I am no longer benefiting from it as I have built up a tolerance. I also take opiods for pain both from the Fibro and disc issues and arthritis issues. I would certainly be interested in Tonmya as it is going to help with the Fibro and also my other issue with yes, PTSD! What a mess this one is! So I keep an eye out for anything that would help. Thank you for your new insight. I have tried almost everything, Lyrica was working good but I grew a tolerance and was up to 225mg twice a day. I ended up gaining over 20lbs while on Lyrica. Flexeril has always worked for me. If I take a quarter tab, 2.5mg every night it seems to help. On days I am feeling really bad, I take a whole tab and sleep the next day away and let my body reset. Some days the pain can be overwhelming, hoping they find a cure soon! With the increased pain my fatigue has gotten worse too! Intrigued by the first one. I have never had a cold sore. I used to get canker sores all the time when I was younger. I do not think they are caused by the same thing. Pain is much better for me on anti-inflammatories. Kenalog shots also reduce pain all over. I’ve never heard of any of these studies and I live right next to Shands Medical Center in North Florida! I’d give ANYTHING to have fibro Doctor who was involved in any of these trials and might be able to get me into one. I am currently not taking any fibro drugs, just pain medication to treat the symptoms. I have tried Lyrica in the past but all it did was make me gain a lot of weight and cost a lot of money! I do take Cymbalta, which just barely keeps my depression in check. Does anyone know do any test groups or doctors associated with Shands or University of Florida that I might be able to get in touch with? Well dangit. I was in the phase II clinical trials for TD-9855 and was waiting for it to finally hit the market, because while I can never be sure if I had the placebo or the drug, I felt much improved while in the study. This really disappoints me, especially for a reason that basically boils down to “we want to be able to get more money for it”. With any luck it will pass proof of concept for the more lucrative option and be approved for fibro as well, the way cymbalta was approved as an antidepressant. That’s a shame! I was sad when I found out they had something that might be helpful for fibro, but they’ve decided to go in another direction with it. At least you’re not dying !!! Seriously !!! believe That !! They should stay in our skin and have our daily and long struggle and suffering to get punished for their cold hearts and dismissice attirudes and cruel words ..
until nothing was working and I got into touch with Dr. Singleton, my wonderful Lyme doc in Towson, MD. (I had moved to Florida in 2014). He told me there are now two tests when done together that can determine whether or not one has Post Treatment Lyme: I-Spot Lyme Tests from both Parmesan Labs and NeuroScience. It took ten weeks to get the results and the cost was expensive but in the end, it was worth it to learn the results were both negative which led to the diagnosis of Fibromyalgia based on the tender points test This diagnosis was confirmed by the EpiGenetics blood test approved by Medicare. through its combo with Celebrex. Thank you for sharing UPDATED information! 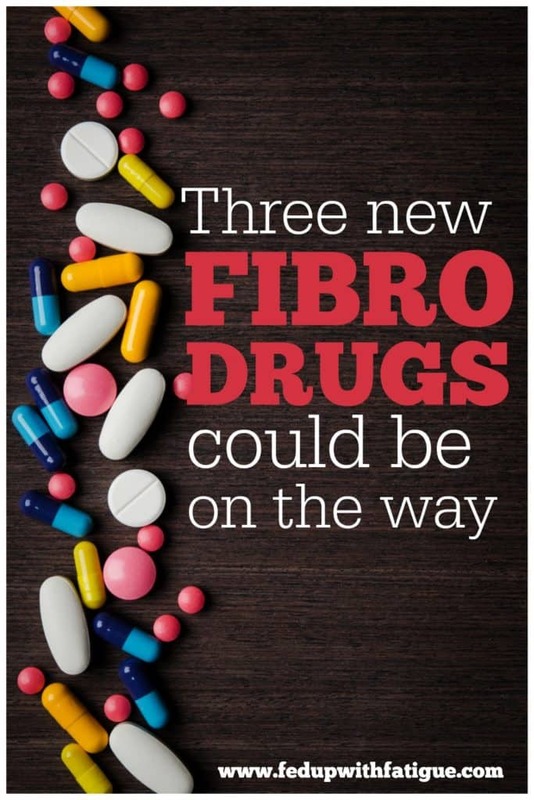 I sometimes hesitate to read anything that starts with “New Meds for Fibro” because once my interest is peaked I then reach the bottom of the article that’s dated blah/blah/2011! I think I might be interested in the 1st option (saying this w/o researching first). I’ve tried Lyrica for over a year and I absolutely dislike it. The side effects are terrible and I found the pain to actually intensify. I also found my depression intensified too. I honestly believe that one part of the treatment for FM needs to be balancing or even slightly increasing the chemicals that effect our moods. (Now I KNOW there’s proper terminology for what I’m trying to say! Lol! And at one time I knew what it was!) Please note that I said ONE PART of treatment. As we all know, Fibromyalgia literally has its greedy little tentacles in and on every square inch of our bodies & minds! My pain levels vary from minute to minute but seldom fall below 5 on a scale of 1-10. Pain treatment is very, very important to me. But equally important is keeping my mood positive. As far as I’m concerned the two go hand in hand. Thank you, Debbie. I’m glad you found the information useful. I’m excited about Dr. Pridgen’s work too! I was taking 150 mg of Lyrica twice per day to combat severe face pain/headache. It worked at first and as I got used to it the side effects weren’t so bad. The problem was that I developed a tolerance to it. After a while the dose I was on no longer brought me the relief I needed. Now I take it when I have bad flares and often one 75 mg capsule will help. I experienced the same thing on Lyrica (been on it about 5 yrs), but plateaued along time ago. But I hesitate to go off them, as I’m afraid I will feel so much worse! When I first started it, it worked wonders! I was so happy, but then it became less & less effective. So I’ll be interested in the Lyrica 2.0. I will definitely try it, if & when it comes out & likely far later in Canada! We seem last to get anything good! 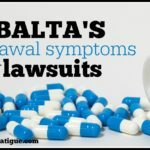 I tried Cymbalta first & had a horrible reaction to it! Threw them in the garbage after day 2!! Interesting information and yes I would try them all, one at a time for relief. This is great news as i too, like you have tried many drugs to help fibro, unsuccessfully. I feel like it’s about time we had some new medications to try. Interestingly just yesterday I attended a pain clinic at a local hospital and they suggested to try cellebrex. I have had bad experiences with Lyrica and most drugs I’ve tried but that would not stop me trying these new ones as Fibro is such a systemic disease. I was on Lyrica for 8 years but it wasn’t working so well for me anymore. I also wasn’t happy about the side effects. I’m on doxepin which helps me sleep. I was on Flexeril years ago. I think the new drug combo (IMC-1) which includes Celebrex is a very bad idea. I’ve had fibromyalgia for 30 years and in the past used NSAIDS for my pain. This caused GI bleeding (stomach ulcers) for which I was hospitalized and needed transfusions — this happened more than once over the years. I have not taken any type of NSAID in over 10 years now (aspirin, ibuprofen, Aleve). Celebrex is also an NSAID and is not safe for your stomach when taken long-term. The other new drug sounds promising (Mirogabalin). It takes forever for the FDA to approve new drugs, so in the meantime, I’ve been on medical marijuana (low THC/high CBD syrup) for the past two months. I’m getting about the same pain relief (50% reduction) as I did on Lyrica without any bad side effects. So glad to hear that medical marijuana is helping! Hopefully we’ll get legalization in the future so more people can access it. I’ve found CBD oil helpful for pain. I hope it helps you, too. Good luck on getting your card! all of a sudden my long known about fibro acted up in the middle of my back..i thought i was having a heart attack it was so severe, went to emerg and they did xrays, ct scans you name it…gave me a shot of Torodol as i cant take nsaids or antiinflammatories and now through trial and error any opiods….i am hooped….within weeks it has not gone into my chest and again i thought i was having a heart attack it was so severe…turns out now it is costochondritis..and learned it goes hand in hand with firbro…yay….my doc sent me to a pain management specialist (look up biomedical acupunture) and he has been injecting me with shots all over the place with a mixture of lidocaine sugar and water…..to deaden the pain and stop the pain signals to the brain..and i was crying so badly because of the pain he prescribed a cream (believe it or not which is made up of menthol @1% dextrose and water called Mannitol) i rub it on 3 times a day and it apparently gets absorbed into the nerves of the body and it works…it takes away maybe 70% of the pain) look up his website Dr. David and Jannice Bowler and he has written a blog on Fibromyalgia) anyways the first session…he injected my face in about 15 spots and the congestion and headaches and face pain and dizyyness i had went away for about a week i felt great but the back pain was marginally improved..the second week he injected my face and it got really bad again, all my congestion and face pain and dizzyness came back..he said i had fibro in my face…and i looked up face pain with dizzyness and sure enough found a huge blog with people having the same problem…so trying to stick with the injections elsewhere..for now but he also specializes (dont laugh) in hynosis and wants me to try that…. so will give it a shot…..but i also called my favourite pharmacist Dave and he gave me a list of about 6 prescription creams you can rub on and said they can help…i know for sure the Mannitol does help as i am using it now…not cheap as it is a compounding pharmacy mix but my pain management guy said you can make it yourself if i want the recipe i can get it from him……my fibro just came out of the dark one day sitting in a chair and is now going into overdrive>>>. i dont know why i knew i had it for years as a result of the press this spot does it hurt test but it never bothered me until now…my doc is fed up with me as he says you keep getting worse not better…and i felt so sad and i said ?>>>>>>yes…….do you understand how i feel…he said no to Lyrica and Gambapanten as he said the side effects are bad and i cant afford to gain any weight…..so fed up, here is a list of the creams my pharmacist suggests……. Amitrip 2%, Gabapentin 10%, Bacloten 3%, Diclo 5%, Ketamine 5%in lipoderm, apply 2 to 4X a day….i am telling you than the Mannitol 3 times a day works but maybe also discuss the above with your docs and see what they suggest……the Mannitol at least is drug free….my doc prescribed Diflonec (which is Voltaren but prescription strength…) and one doc at emerg prescribed Diflonec suppositories for people who cant take the NSAIDs orrally…so there are some options…..
IMC-1 for sure. And then the Tonmya! Really good information to have. None of that grabs me at the moment. Just being honest I’ve had horrible success. Thank you for the article and very best regards marymajor please keep it coming! Donna, I read your posts with a glimmer of hope in my heart! I’ve been on opioids, amytriptyline Flexeril, dilaudid, and so on, and if there were something new to try, I’d try it. In the past two years I’ve gone from 150 Fentynyl patches to 25’s and am about to quit that. However, since I started the reduction, I’ve had much more pain, including TMJ, Trigeminal Neuralgia, as well as the Osteo, Fibro combination; including decreasing discs and stenosis etc of the lower spine and now upper as well. So I’m wondering if I should go back on Fentynyl (maybe it helped more than I thought??) or what to do. I’d appreciate your opinion, tho I know you don’t use many pharma drugs. I am 69, have had severe osteo since I was a teen! That’s really a question for yourself and your doctor. If you think the fentynyl was helping, then I would maybe reconsider stopping it. 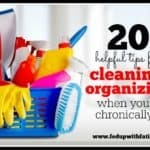 There are so few things that help w/ fibro. Tonmaya sounds most promising to me. Sleep = Less pain!